The Green Economy: Boosted, Busted, or Blasting Off? This post is adapted from AtKisson Group’s WaveFront, a free newsletter that Alan’s company sends to clients, friends, and … well, anyone who wants it! Sign up at http://www.AtKisson.com. 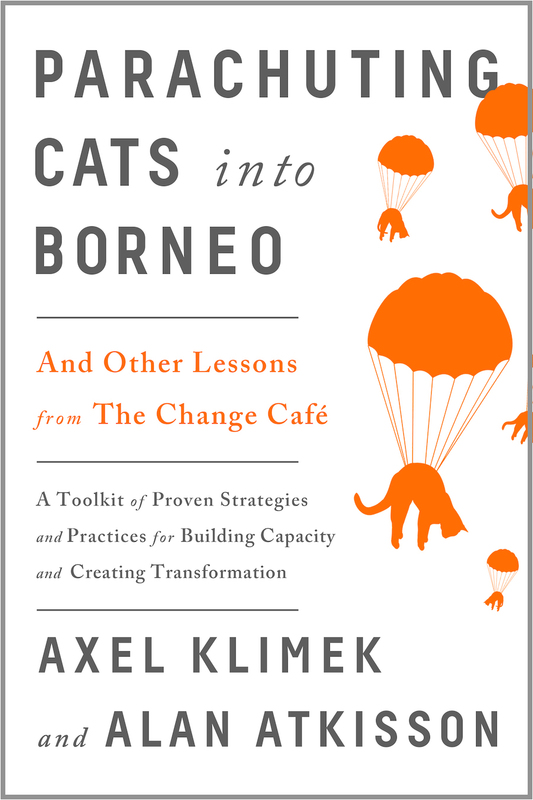 This article refers to a free global strategy review from the AtKisson Group’s Sustainability Intelligence Unit that describes the basic concepts of the Green Economy, maps the global “state of play” in the international movement — and suggests ways to move forward. In the run-up to last year’s “Rio+20” global summit, the Green Economy was meant to be the new centerpiece of sustainable development. One year later, what is the status? Did the concept of a Green Economy get boosted by Rio … or busted? Is the rocket still sitting on the launch-pad? Or has it taken off, and left the laggards behind? Regular readers of WaveFront will remember that I also wrote about the global state of the Green Economy in April 2013. 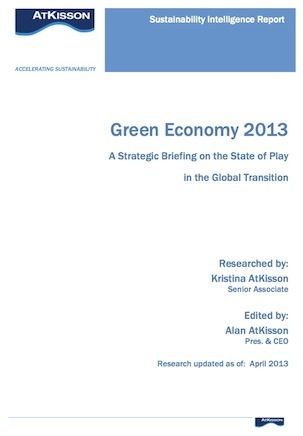 That issue was based on a briefing we prepared for a client, who wanted to know about the strategic “state of play” in terms of how the Green Economy was being implemented, around the world. … and feel free to share that link with others. Our research for that briefing was up to date as of April 2013. But a quick scan of the world in August 2013 suggests that the contents are still very timely. To illustrate, here are news headlines collected during the last week, underscoring the key messages in that briefing, which could be summarized as (1) the Green Economy is a reality, it’s happening now, and it’s growing fast, and (2) several aspects of the Green Economy remain very controversial … even among “green” types. That last article about China bears special attention, because it underscores one of the key findings of our briefing: regardless of what other people think about a Green Economy, China (among others) is investing in it. Massively. In China, the Green Economy is truly blasting off. Consider: China’s powerful State Council recently “reiterated” (reconfirmed publicly) a goal set last year in the national industrial development plan: to “raise the total output value of environmental … industries to 4.5 trillion yuan ($729.7 billion) by 2015.” That’s a number that could be rounded up to a trillion dollars. And they are increasing their level of current investment in the Green Economy by 15% every year. Compare that to the Punch-and-Judy show of right-wing skeptics and left-wing critics, who are pounding away at the Green Economy from both sides, as reflected in the two articles above the one on China. Something tells me that when the wings on both left and the right are against the idea, but the Chinese are investing in it—with the aim of generating hundreds of billions of dollars in economic value—then we should all be paying very close attention. Let me be more direct. I believe in the Green Economy. And I think you should, too. Because whatever else happens, we are going to have an economy in the future. That economy is going to be using energy, producing food and electronics and services, and trading globally. If it is not doing this in a green way, we are sunk. Meanwhile, the chance of that global economy abandoning the “Washington consensus” (that is, the current global financial system) for alternative, non-capitalist models seems microscopically small at the moment. And time is short. For some people, and some species, time has already run out. We need a Green Economy. And we need it yesterday. So we also need to stop arguing about what it means, and whether it is possible, and just make it happen. Our briefing on the Green Economy (which represents just our own views, not those of WWF Sweden) makes several practical suggestions about how to move forward on making it happen. These include incentivizing the banking sector (China already did that) … delivering the promised billions to the global Green Climate Fund (the money promised at the Copenhagen climate summit still has not materialized) … and putting together a global, blue-chip commission to study how to shift investments out of coal and oil and into the cleaner, greener forms of energy that are available to us. And then, let’s all go back to work, creating the Green Economy of the future. As soon as we possibly can.